This morning I woke up before the rest of the family, made a pot of coffee, and sat in my favorite rocking chair on the front porch. Just me, no one else. 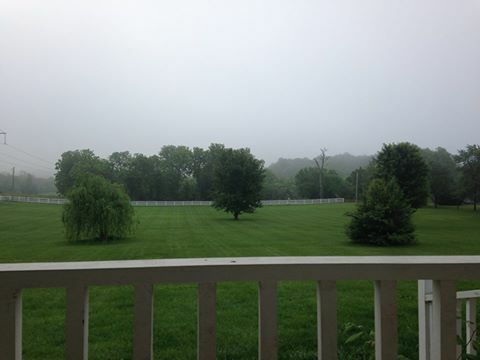 I was able to just soak in the peace of the country with nothing to do but listen to the various birds chirping in the trees, and watch the morning fog begin to lift. Being able to enjoy my coffee and wash away the stress of work and the world truly makes me happy to live here on our “Little Missouri Homestead” with my beautiful and loving family.